Measurements are made in a room with a ceiling height of 2.5 m. The presence of room reflections makes the measured response uncertain below about 600 Hz. Measurements are made with hanning/2 weighting window. No smoothing applied. 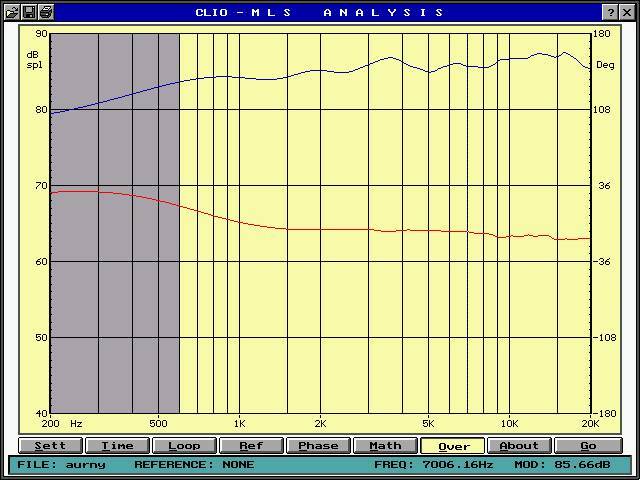 The red curve is the delay-free phase response. The measurements were taken at 1 W /1 m.